Vancouver, B.C. - Louise Forsyth (Langley) is coming home to play at the Inaugural Vancouver Showcase. Beginning on November 22nd, the women’s division of the Vancouver Showcase opens with Louise and the Gonzaga Bulldogs facing defending National Champions, Notre Dame Fighting Irish. Louise starred at Brookswood Secondary School in Langley where she was a four sport athlete, which included track, cross-country, volleyball and basketball. She excelled at all sports, but was most decorated in her five year varsity basketball campaign, where she carried her team to four final appearances and five straight B.C. Triple-A Final Fours. Forsyth concluded her career averaging 31 points and 14 rebounds per game in her senior season, along with being named British Columbia’s Baden Player of the Year and Brookwood Female Athlete of the Year. When her high school career was finished, she had won three provincial titles in five years. 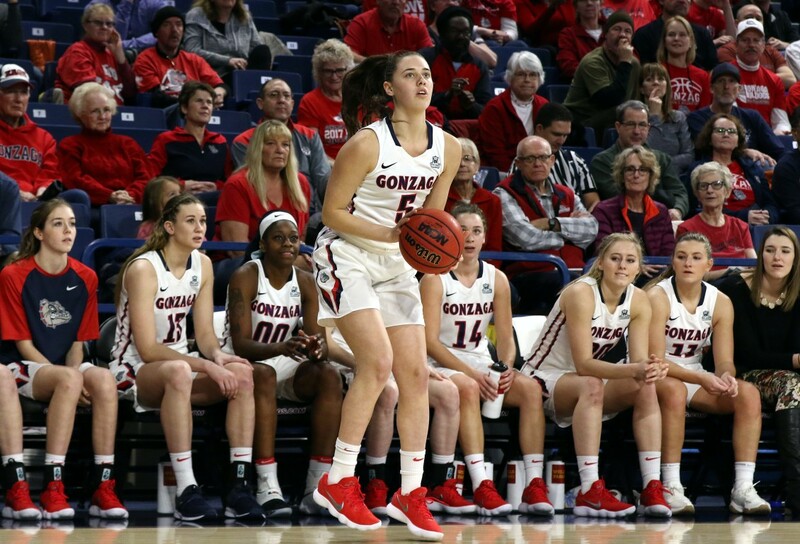 In her freshman season at Gonzaga Louise broke a bone in her foot at the start of the season. She would return to the court near the end of the year, but after spending most of the season sidelined with injury, couldn’t catch her rhythm on the court. After spending the full offseason recovering and training, it will be more than a joy to watch Louise’s much anticipated home debut in front of family, friends, and fans at the Vancouver Convention Centre. To purchase tickets to the Inaugural Vancouver Showcase visit VancouverBasketball.com/showcase. To receive an exclusive discount, use the code ‘ TIPOFF’ for 20% of your ticket order.